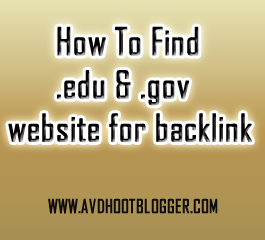 Blogging tips to find .edu and .gov websites to create and get backlinks. Along with anchor text enabled website, dofollow website who likes to give you backlinks. We will use an online well established website which will give you all the important related website that you are finding on Google to get backlinks. Squidoo lenses add to list. 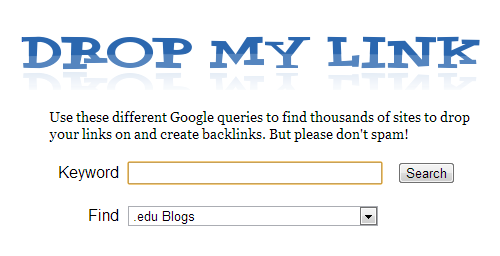 How to use this to get backlinks. It is very simple just type your keywords in the keyword section which matches with your website content or anchor text. And choose the type of blog you want to search for. And hit search button a new page will open in your browser showing results based upon your query that you made in this website. Please provide your suggestion through making comments. 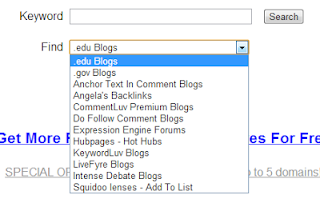 Description : Blogging tips to find .edu and .gov websites to create and get backlinks. 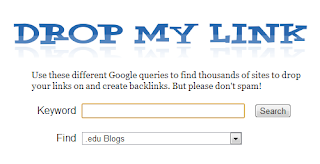 Along with anchor text enabled website, dofollow website who likes to give you backlinks.